Please find above an updated club timetable – click to expand. Please sign up at the office for Science Club – There are 10 places available starting Monday 14th May. 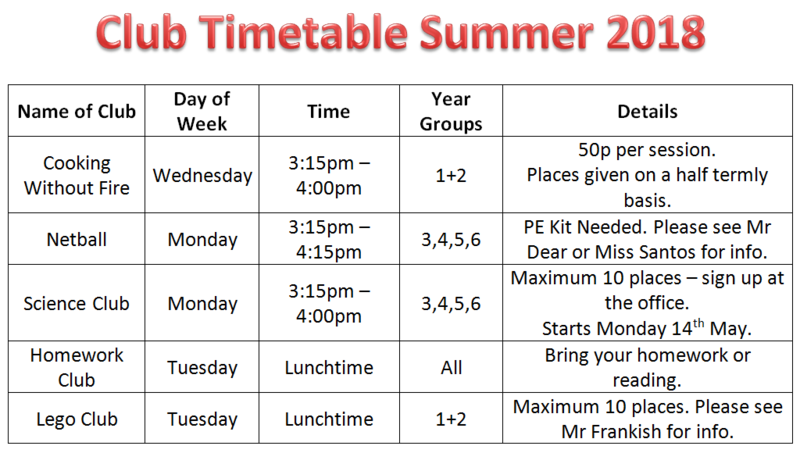 This timetable is also displayed on the playground notice board.